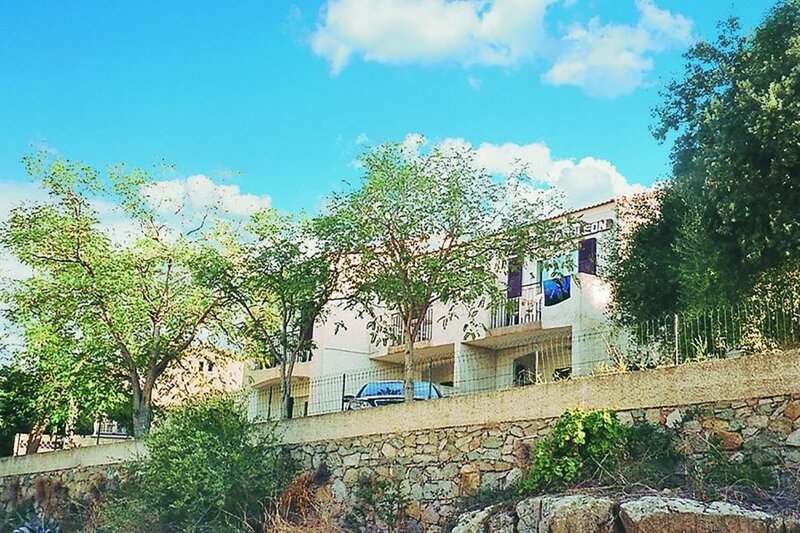 These charming apartments (see FKO114) overlook the Corsican Mountains and are part of a convenient and familiar place in the centre of the picturesque village, Algajola. These charming apartments (see FKO114) overlook the Corsican Mountains and are part of a convenient and familiar place in the centre of the picturesque village, Algajola. The magnificent sea is very close by. The coastal town is located in the tourist area Balagne between the popular seaside resorts Calvi and L' Ile- Rousse. You can explore the island of beauty in a car, but parts of Corsica can be explored in a leisurely boat trip or a ride in the traditional island train. This solidly constructed apartment was originally built in 1969 and refurbished in 2001. The agent has rated it as a three star property so it is a well-kept apartment, equipped with standard furniture. It is also good value for money. The apartmentIt is located in Algajola, only 7km from Ile Rousse. It is set in a very convenient location, just 100 metres away from a sandy beach. There's also a restaurant only 50 metres away.